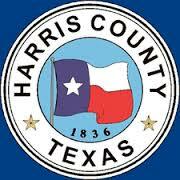 Houston City Council on Wednesday unanimously agreed to spend $471,000 on cyber insurance, becoming the latest Texas municipality trying to bolster its response to growing technological risks. The insurance can cover up to $30 million in expenses related to security breaches in the city’s network, including crisis response, recovery of losses and answers to legal claims stemming from cyberattacks. While some data breaches are preventable, the prevalence of cybersecurity threats against city governments nationwide prompted Houston to take steps to insure itself, said At-large Councilman David Robinson, chairman of council’s Transportation, Technology and Infrastructure committee. In the event of a cyberattack, such as hacking or phishing, in which people pose as trustworthy sources to obtain money or information, the insurance coverage could pay for crisis management resources, computer forensics, credit monitoring and call center services. After a security threat is detected, the new policy could cover any loss of income or expense from the interruption of computer systems, according to council background materials outlining the insurance. It could be used to pay the cost of restoring or recollecting data affected by a cyberattack, as well the cost of investigating threats. The insurance policy also can be used for liability claims made against the city for failing to protect data or prevent access to confidential information. This makes sense. Of course, as an organization you want to do everything you can to prevent an incident, but as we say in the business, it’s not a matter of if you’ll get hacked, it’s a matter of when. Like what happened to Harris County earlier this year. All of your vendors and suppliers and business partners are potential avenues for compromise, too. While I hope we’ll never need to use it, this is a smart investment. Are driverless cars ready or not? GM and Lyft think theirs are pretty close. The new effort is directed mostly at challenging Alphabet and Uber. The Google self-driving car program has gained a sizable lead over conventional auto makers via testing in California and other states, and it received an additional boost this week through a minivan-supply agreement with Fiat Chrysler Automobiles NV. Uber, much bigger than Lyft, has its own self-driving research center in Pittsburgh and is preparing to usher autonomous vehicles in to its fleet by 2020. I alluded to this yesterday. My reaction remains: Next year? Really? That’s pretty darned aggressive. It’s also pretty interesting considering that the people who are making driverless cars have been suggesting that we should maybe slow our roll a little. Engineers, safety advocates and even automakers have a safety message for federal regulators eager to get self-driving cars on the road: slow down. Fully self-driving cars may be the future of the automotive industry, but they aren’t yet up to the demands of real-world driving, several people told the National Highway Traffic Safety Administration during a public meeting Friday. A slower, more deliberative approach may be needed instead of the agency’s rapid timetable for producing guidance for deploying the vehicles, according to an auto industry trade association. 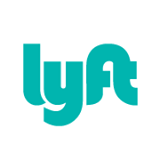 A General Motors official recently told a Senate committee that the automaker expects to deploy self-driving cars within a few years through a partnership with the ride-sharing service Lyft. 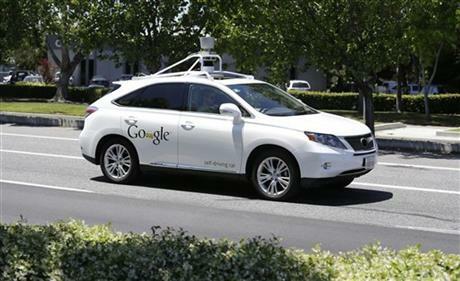 Google, a pioneer in the development of self-driving cars, is pushing Congress to give the NHTSA new powers to grant it special, expedited permission to sell cars without steering wheels or pedals. —Inconsistent traffic-control devices such as horizontal versus lateral traffic lights. Until the technology has advanced beyond the point where ordinary conditions are problematic, “it is dangerous, impractical and a major threat to the public health, safety and welfare to deploy them,” said Mark Golden, executive director of the National Society of Professional Engineers. There have been thousands of “disengagements” reported in road tests of self-driving cars in which the vehicles automatically turned control over to a human being, said John Simpson, privacy project director of Consumer Watchdog. “Self-driving cars simply aren’t ready to safely manage too many routine traffic situations without human intervention,” he said. There’s also the concern that driverless cars, which by definition will be connected to the Internet, will be vulnerable to malware. We’re not at a point where today’s cars can be successfully hijacked, as dramatized on a recent episode of Elementary, but it is something the industry is gaming out now. The larger point here is that our driverless car future may be farther off than we think. Or maybe it’s closer than we think. We’ll see how that taxi pilot goes. Executives at Lyft and Uber have said one of the top hurdles to their success is navigating a patchwork of regulations that govern the use of autonomous vehicles and liabilities. In an effort to ease regulatory concerns, Lyft will start with autonomous cars that have drivers in the cockpit ready to intervene—but the driver is expected to eventually be obsolete. Well, at least we won’t be fighting about fingerprints any more. I shudder to think how much money will be dumped into those lobbying – and possibly electioneering – efforts. You can add this to the list of things you didn’t know you needed to worry about. Sounds scary! But PC World puts it into context. After all that effort, the car’s steering wheel may still be mechanically locked, preventing the hacker from driving away after breaking in. If someone really wants to steal a car, there are plenty of other methods that sound a lot easier. Besides, Bailey and Solnik are already working with the maker of the security system they hacked to plug the holes. Keep in mind that this high-tech car hack is just a proof of concept, and it’s not the first. In March, researchers described using a Trojan horse on an audio CD to break a car’s defenses. To my knowledge, no car theft epidemic has resulted from either of these methods. So don’t sweat it too much for now. Two things to add. One, not to get all tinfoil hatty on you, but if this capability exists, it’s the government that’s most likely to figure out how best to capitalize on it. Not because they want to steal your car, but because your car’s GPS can be hacked in similar fashion, and that information could be of interest to them. And two, since the story also mentioned the possibility of hackers messing with a car’s computer-controlled systems, such as the brakes, it’s just a matter of time before this becomes a key plot element in a mystery or thriller novel. As a fan of that genre, I like to keep abreast of the coming attractions.